In August, the Catholic church and priest Fr. William Aitcheson publicly acknowledged his Ku Klux Klan past following the turmoil of violent white supremacist demonstrations in Charlottesville, Virginia. 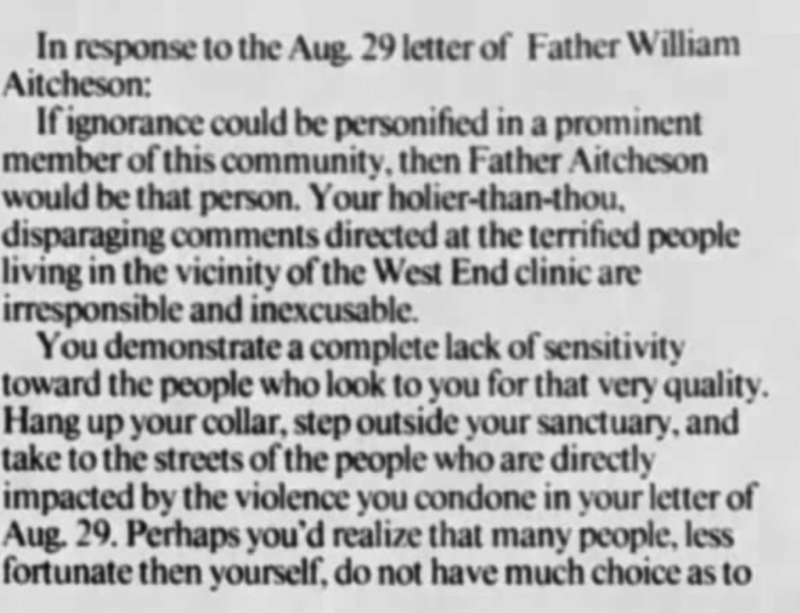 Aitcheson and the Catholic Diocese of Arlington, Virginia tried to craft a public relations portrait of a low profile pastor who had experienced a conversion after his youthful indiscretions in the KKK who had left his bigotry and political extremism in his past when he was welcomed into the priesthood. But a closer examination of Aitcheson’s 29 years as a priest tells a different story–a story of a still high-profile priest-activist. Diocesan and other records show that after his ordination as a priest, William “Father Bill”” Aitcheson remained an outspoken political activist on issues of abortion, homosexuality, and racial issues and has continued to promote the just cause of the confederacy during the civil war. Aitcheson’s roots in anti-abortion activism began while he was a leader of the Ku Klux Klan when his bombing schemes targeted those with opposing views on race and abortion issues simultaneously, according to court documents and law enforcement officials. After being ordained a priest in Nevada in 1988, Aitcheson appears to have subordinated his former KKK pulpit of racial intolerance and allied himself with the pro-life movement, including some violent extremists. A 2013 official Catholic diocese of Arlington Virginia biography says of Aitcheson’s time as a priest in the Reno diocese only that he “served there for five years. 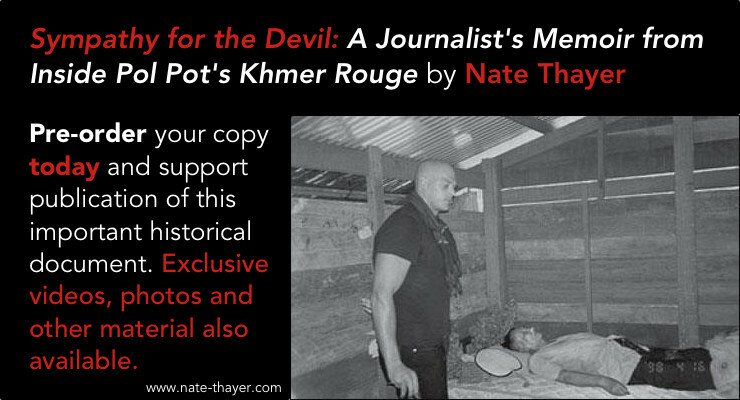 During that time, he was involved in Operation Rescue.” The reference to Operation Rescue has since been omitted from the official biography of Aitcheson released by the diocese in August when Aitcheson’s KKK past was revealed. At the same time in 1992, Aitcheson led daily protests outside a Reno medical clinic which included some extremist members of Operation Rescue who were later convicted of conducting a nationwide campaign of bombing abortion clinics and shooting doctors providing abortion services. While a priest in Nevada Aitcheson was also on the board of and a spokesman for the Northern Nevada chapter of the Christian Action Council, a pro-life group then known for confrontational public demonstrations in front of clinics. 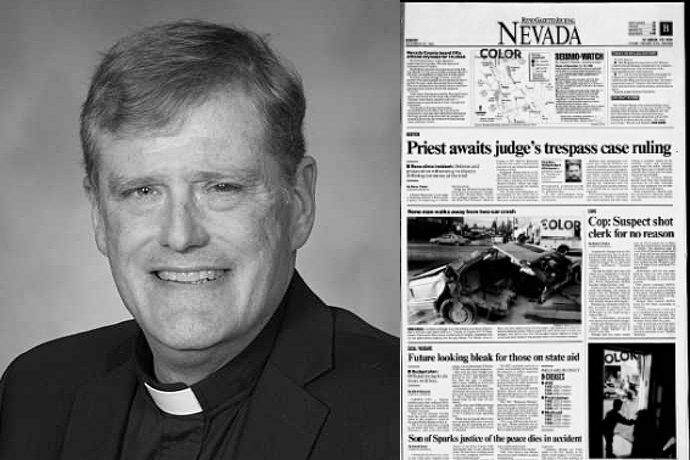 Records show a string of incendiary letters from “Father Bill” Aitcheson to the editor published in the Reno Gazette Journal newspaper in 1992 and 1993 while he served as associate pastor at the St Therese Church of the Little Flower in Reno. 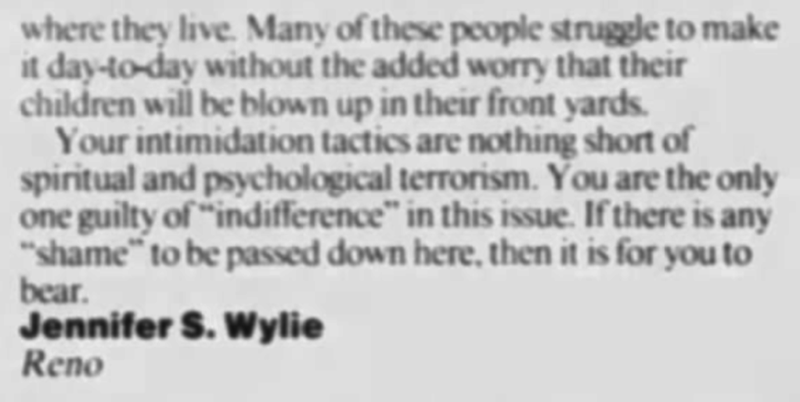 In 1992 Aitcheson held daily protests at the West End Women’s Group clinic in Reno that was simultaneously targeted in a series of high-profile bombings. A member of Aitcheson’s Operation Rescue was a domestic terrorist, Rachelle Ranae “Shelly” Shannon, who began a nationwide terror campaign of arson and bombings and shootings at abortion clinics with several attacks at the Reno West End Clinic. 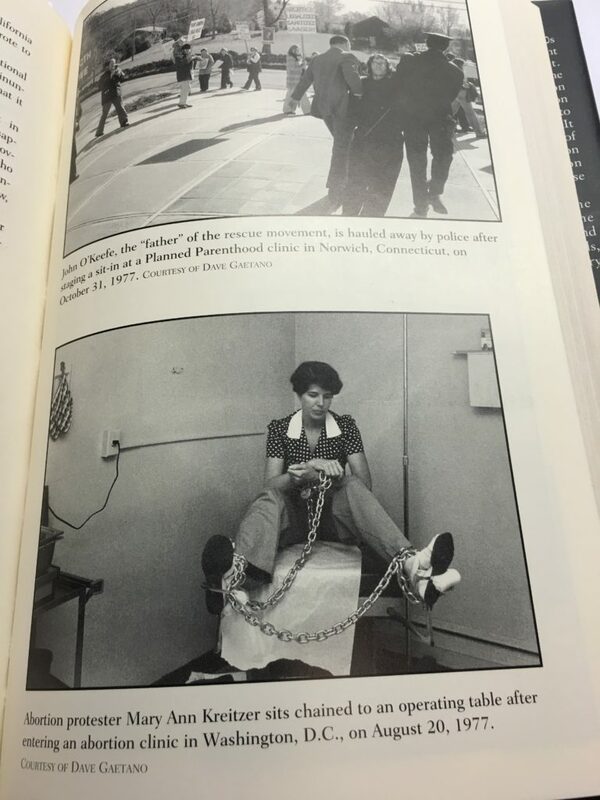 On Aug. 18, 1992 Shannon set the West End Women’s Group clinic on fire and on Sept. 16, 1992, “she asked to use the restroom and made a hole in the wall with an ice pick and emptied hypos of butryc acid” inside the clinic, according to Federal court indictment documents, a tactic detailed in the terror manual of the “Army of God”, designated by the U.S. government as a terrorist group. At the time, Father Aitcheson was holding daily protests outside the same clinic confronting patients and clinic workers attempting to enter the medical facility. Aitcheson served as a spokesman for Reno anti-abortion activists during these high-profile spate of bombings against the same Reno medical clinic that provided abortion services where Aitcheson, dressed in full priest garb and collar, maintained a daily personal vigil harassing and yelling biblical condemnations at arriving patients and clinic workers. 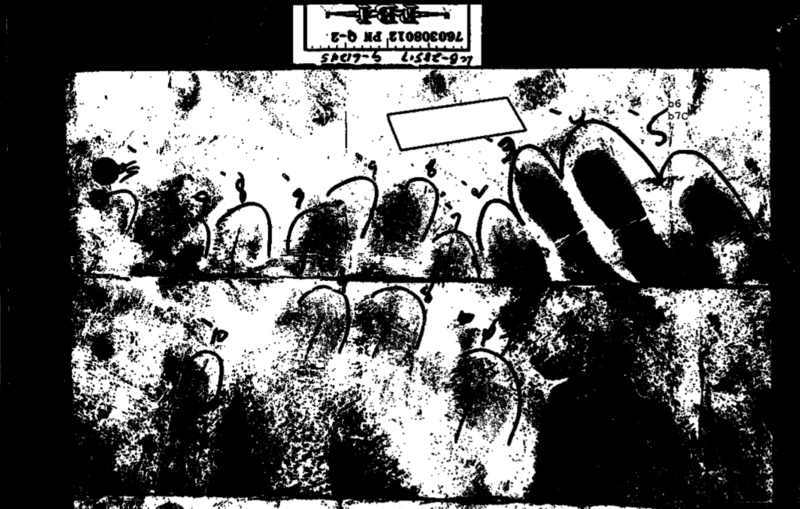 Although there is no evidence Aitcheson was directly connected to the attacks, Aitcheson did publicly lash out at those who objected to the violence at the abortion clinic, tried to cast the bombings as a deceptive political act by abortion center employees, and condemned local residents who complained they feared for their safety living near the protests . The nationwide terror campaign of arson, bombings, and shooting at abortion clinics by Rachelle Shannon began with her several attacks at the West End Clinic in Reno where Aitcheson had been demonstrating for more than a year. It was then that Shannon launched a cross-country terror spree of bombings culminating in the shooting of an abortion clinic doctor in Wichita, Kansas. 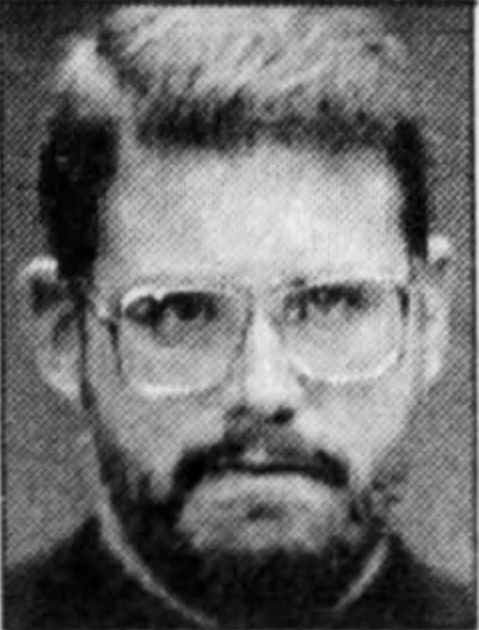 In October 1994, already serving a 10-year sentence in Kansas on state charges for the attempted murder of Wichita physician George Tiller in 1993, Shannon was arrested and convicted for the attacks in Reno. Shannon is now doing 40 years in federal prison and remains unrepentant. But it was the conclusion of his letter that drew the ire of several residents who lived in the neighborhood of the West End Clinic. “Shame on you, Father Aitcheson!,” responded one Reno resident. The Catholic diocese of Reno, while now acknowledging they were fully aware of Aitcheson’s Ku Klux Klan past, at the time withheld the fact he was a convicted racial domestic terrorist from his parishioners and the public. Less than a month later, on October 22, Aitcheson, while serving as the parochial vicar at St. Therese the Little Flower Church in Reno, was arrested on charges of trespassing on the property of the West End Clinic trying to prevent a woman patient from being escorted into the medical facility. The director of the clinic claims Aitcheson was also charged with assault and batter, but no records show such a charge was filed. “Aitcheson was dressed in full priest garb screaming at everybody, pacing back and forth like a caged animal, every day for more than a year,” the doctor said. 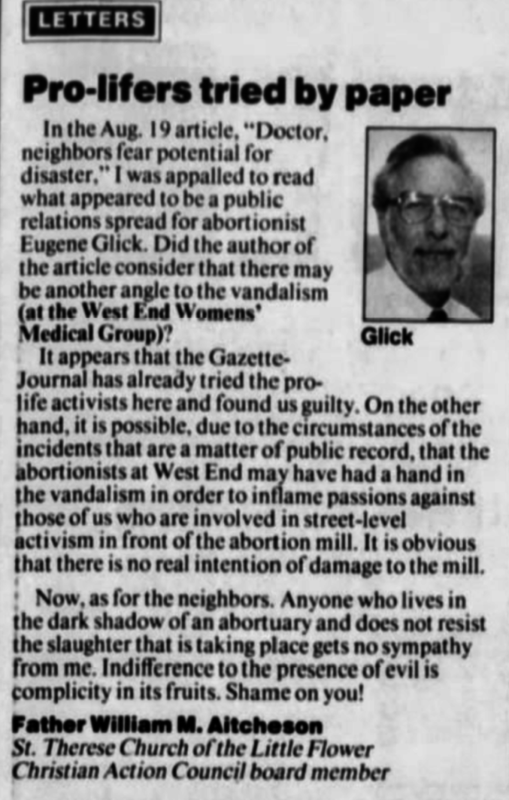 Aitcheson’s conduct at the West End abortion clinic so angered some residents in Reno that they held a highly publicized demonstration in front of his St Theresa of the Little Flower church in November 1992 while Aitcheson was awaiting trial. “It’s a very sad, feeble attempt at attacking the church. The Roman Catholic church supports the sanctity of life at all stages,” Aitcheson told reporters at the time. “There is a systematic blindness against pro-lifers. 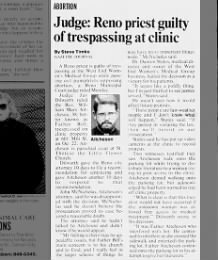 If a pro-lifer goes to court, he is automatically considered guilty” wrote Aitcheson when he was convicted for trespassing at the Reno clinic. “That is an example of the pro-aborts using the people they have in their hip pockets to crush legitimate dissent,” he said referring to the Free Access To Clinics (FACE) legislation that had been just passed by U.S. congress. 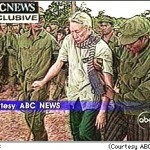 Aitcheson was aggressively unrepentant after his arrest in October 1992 and defended his actions at the clinic. “I was definitely cited wrongly. I was exercising my First Amendment right to speech, I was carrying a sign and I was saying my rosary out loud,” Aitcheson was quoted as saying in the Reno Gazette-Journal. “I think there’s an attempt to get rid of us off the sidewalk,” Aitcheson said. 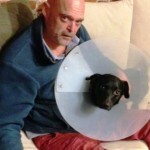 The next month, Aitcheson, in his capacity as spokesman for the Christian Action Council, dismissed the bombings, arson, and acid attacks at the clinic he had protested outside of for more than a year. “Whatever violent activities that have been done are remote cases and not at all common,” he told reporters. That same month the U.S. congress passed legislation known as the Free Access To Clinics (FACE) intended to mitigate pro-life demonstrators from blocking access to medical clinics that provided abortion services. “That is an example of the pro-aborts using the people they have in their hip pockets to crush legitimate dissent,” he said. Aitcheson’s arrest garnered significant publicity, and he obliquely broached his past involvement in the Ku Klux Klan in open court. At his Dec. 23, 1992, trial in Reno, Aitcheson acknowledged, “on the stand that at age 20 or 21 he was sentenced to four years probation for sending a threatening communication through the mail. 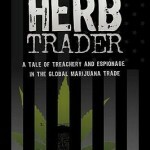 Aitcheson called it a political crime,” according to the Reno Gazette-Journal at the time. 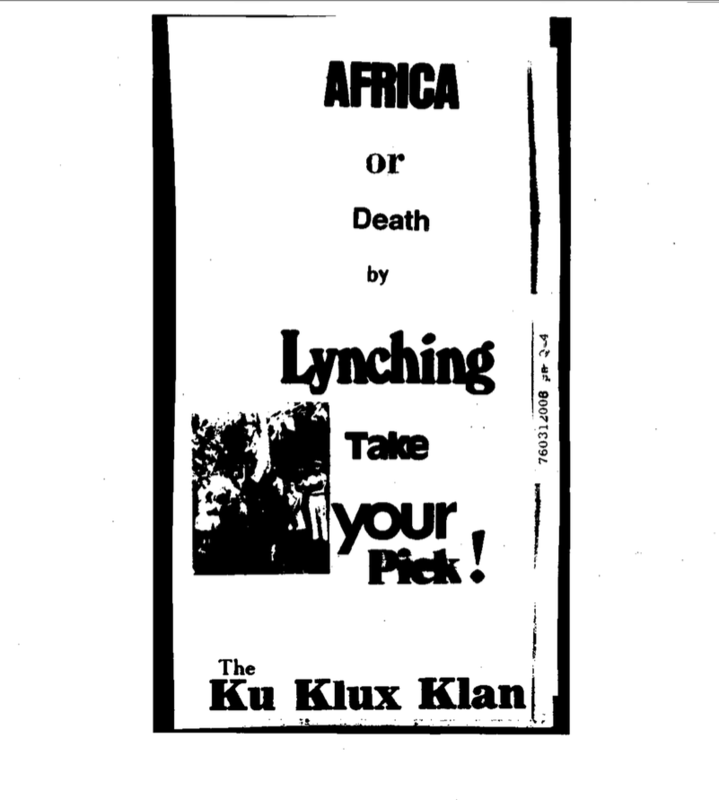 What was not mentioned in court was that the “threatening communication” were death threats Aitcheson made against Coretta Scott King, the widow of Dr. Martin Luther King, Jr., in 1976 while he was a member of the Ku Klux Klan. It was that year that Maryland law enforcement and the FBI say Aitcheson was plotting to bomb abortion clinics in Washington, D.C. and Prince George’s County, Maryland. Aitcheson immediately resumed his pro-life activism while an associate pastor assigned to St. Elizabeth’s parish in Colonial Beach, Virginia. He brought with him “pro-life direct action,” according to a Virginia parishioner. 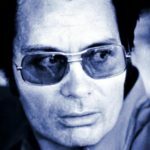 “At least once when he was preaching from the pulpit on Catholic truth, someone got up and walked out. He continued to preach the truth. I never heard him raise his voice or treat anyone with anything but respect,” she said. “There have been no accusations of racism or bigotry against Fr. 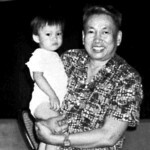 Aitcheson throughout his time in the Diocese of Arlington,” said the Arlington diocese. “During his time serving in the Diocese of Reno-Las Vegas as a priest no accusations of racism or bigotry were made,” reads another statement released simultaneously by the Reno diocese. On May 3, 1992, Aitcheson, then the newly appointed pastor to Saint Theresa of the Little Flower parish in Reno, gave a sermon in the wake of the not guilty verdict of Los Angeles police accused of beating Rodney King, which sparked violent riots across the country. “I can’t help think that the Rodney King verdict was motivated in some part because of the rise in crime, and most people want to see the police get tough,” Aitcheson said. The text of the sermon was released by Aitcheson during riots and demonstrations that took place in Nevada in the wake of the King verdict. It was printed in a Reno church bulletin in May 1992 and referenced in the religion section of the Reno Star Gazette newspaper archives. But Kreitzer’s views on race, slavery, and the just cause of the confederacy are unlikely to assuage skepticism that many hold on whether Father Aitcheson has rejected his racist past. “I have a confession. Like Fr. Bill, I’m pro-Confederate. I believe we would be better off in this country if the South had won the war. Why? 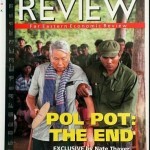 Because we would not have the draconian central government we have today,” she wrote Sept. 19. Aitcheson’s strong advocacy for the confederacy during the civil war, and his reverence for their leader Robert T. Lee, has spanned from his childhood through his years with the Ku Klux Klan and remains prominent since he was ordained a priest until the present. 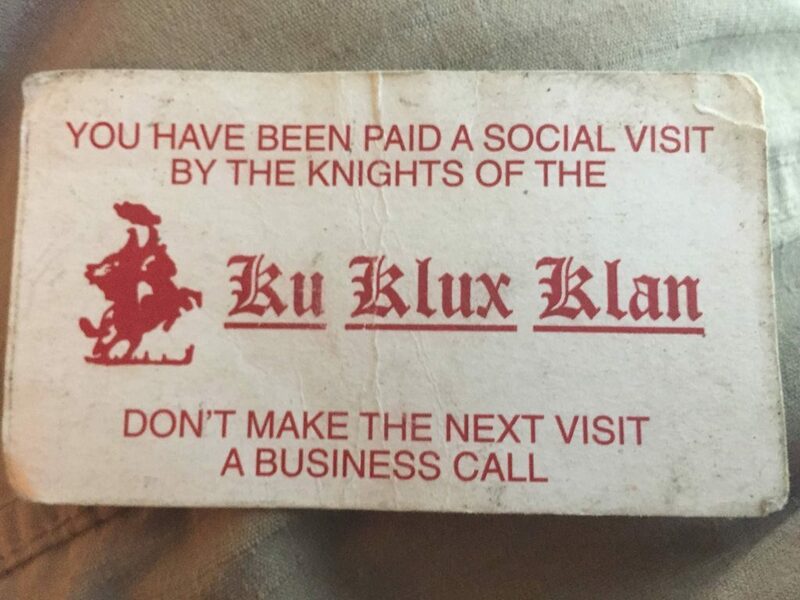 Shortly afterwards, in late 1976, that Aitcheson formed an extremist breakaway faction of his Klan group and led a 12-man terrorist cell he named the Robert E. Lee Lodge. Aitcheson’s fixation on lionizing the leader of the confederacy Gen. Robert E. Lee and defending the confederate cause has continued unabated into his recent years serving as a priest. “The Rev. William M. Aitcheson was my childhood priest and my history teacher,” wrote a former parishioner of Father Aitcheson in the Washington Post in August. “A fervent advocate of the Confederacy, he used to joke about ‘Saint Robert E. Lee’ in his homilies at church. When I was in middle school in the early 2000s, he taught a Civil War history class for the home-school group at my church in the small Shenandoah County town of Woodstock, VA. I trusted him when he taught us that the Civil War was fought for states’ rights, not slavery; that the South’s cause was noble and just,” she wrote. From 1997 to 2000, Aitcheson served as an associate pastor at St. Patrick Parish in Fredericksburg, Virginia, where he “lived near the Chancellorsville battlefield west of Fredericksburg, and his love of the Civil War era was right at hand. He had on display in the rectory a wealth of original Civil War memorabilia, which he had collected since his youth,” reads an official history of the St. John Bosco church in Woodstock, Virginia, where Aitcheson served first as administrator from 2000-2002 and then as pastor until the summer of 2005 when he took a medical leave. While at John Bosco, Aitcheson continued as a vocal and steadfast proponent of conservative church activism. In May of 2004, Aitcheson presided over a memorial services for fallen confederate troops. He offered a prayer to fallen confederate soldiers and read the “Conquered Banner,” a poem written by another Catholic priest, Fr. Abram Ryan, a Confederate army chaplain. O, I wish I was in Dixie! It was while pastor of St. John Bosco parish that Aitcheson objected to how the church was reacting to the clergy sexual abuse crisis. U.S. Catholic bishops had adopted the Charter for Protection of Children and Young People established in June 2002, which established guidelines for handling priests accused of abuse and for educating children and adults to mitigate further sexual abuse within the church by priests. The Arlington diocese was beginning to carry out these policies. “This is an example of the diocese blowing smoke,” Aitcheson told The Washington Post on Jan. 12, 2005, protesting a church proposal called the “Good Touch Bad Touch”, a curriculum to educate students on sexual predators. “Until we go into the seminaries and root out the homosexuals and dissenters, we will not get at the root of the problem” of child abuse, Aitcheson told the Post. 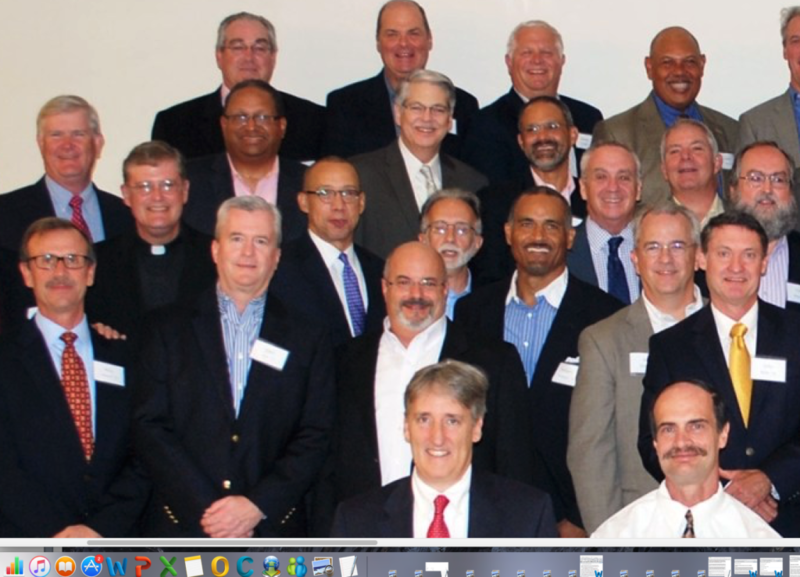 Since 2005 “all staff and clergy have had in-depth background checks” conducted by the Virginia State Police and using the FBI National Instant Criminal Background Check System (NICS) and fingerprint databases, according to diocese of Arlington spokesman Billy Atwell. 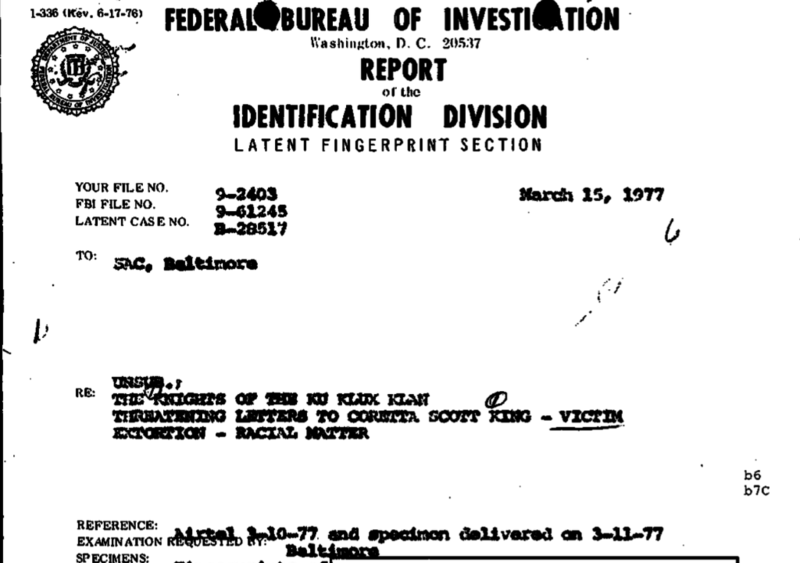 But an investigation easily uncovered FBI case files, including separate files from the FBI fingerprint division, showing the FBI still maintains records of Aitcheson’s fingerprints, 25 of which were identified on death threat mailings he sent to Coretta Scott King, the widow of slain civil rights leader Martin Luther King, Jr. 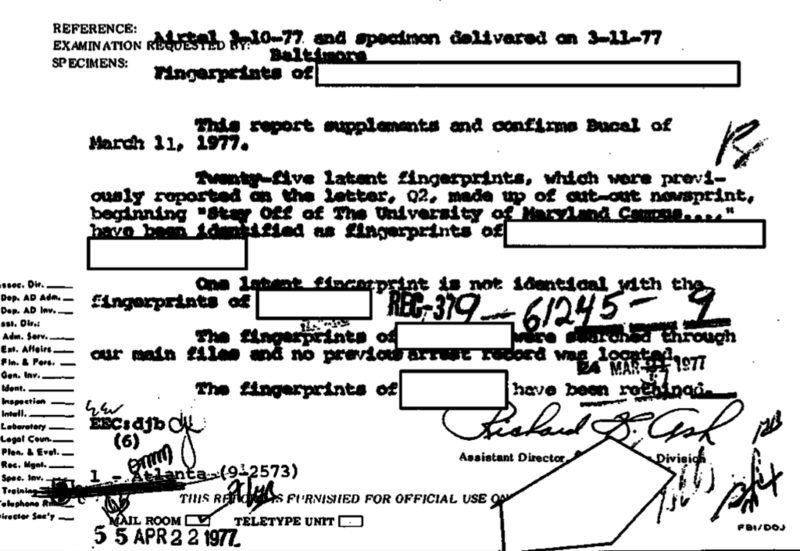 Declassified FBI records show Aitcheson’s fingerprints have been “retained on file” by the bureau since 1977. Arlington Diocese officials declined to comment on why Aitcheson was given an abrupt medical leave and effectively demoted from Pastor in one parish to Parochial Vicar in another five months later. The Diocese “have said everything we can to this point,” Director of Media Relations Angela Pellerano responded to an inquiry on October 5. The Arlington diocese has been markedly reluctant to comment on Aitcheson’s tenure as a priest in the diocese over the last 24 years, releasing curt tidbits of information only under pressure in the days after the dioceses’ revelation of Aitcheson’s history with the Ku Klux Klan on August 21. The publicity over Aitcheson’s Klan past has created “the perfect storm for Catholic hate, particularly priest hate which never needs much instigation,” wrote Mary Ann Kreitzer, the Orthodox Catholic activist who said in September interviews she “knows Father very well” through their shared pro-life activism. “If Fr. Bill never returns to ministry, you can add his lynching to your resume” she wrote, denouncing Aitcheson’s former home school student and parishioner who forced Aitcheson’s KKK past into public sphere last August. “The Catholic Church will walk with anyone to help bring them closer to God,” Arlington Bishop Michael F. Burbidge said August 23.